I’d bet that most fans of pro wrestling have heard this question a million times. Yet, believe it or not, some of the most popular wrestling moves used by the pros could actually be used in real life. While some kids grow up wanting to be like Superman, David Bowie, or Indiana Jones, others have more rough-and-tumble heroes like Ric Flair, Hulk Hogan, The Rock, or even Mr. T.
Much of what goes on inside the WWE ring might appear to be carefully choreographed action, or at least scripted drama. But please don’t let that take away from the fact that this is a dangerous sport filled with some truly bone-crunching wrestling moves. Many of the wrestling moves you’ve seen on television might look purely theatrical, or far too dangerous to attempt at home. Keep reading and let’s take a look at 5 of them. Question: Do you enjoy having all your teeth? If the answer is “Yes”, it might be wise to not let yourself wind up on the losing end of The Curb Stomp. Seriously, this move is bad news. Sometimes called the Blackout, this brutal yet effective move is often credited with reviving the career of WWE Champion Seth Rollins. The Curb Stomp is executed when a wrestler bends the opponent over and stomps on the back of his head. Considered both a dramatic and deadly finisher, the WWE has already banned it in the ring. Like I said, it’s bad news. Though you could certainly use this move in real life, I’d imagine that ten out of ten doctors would highly discourage it. The Spear is a stripped-down and straightforward finishing move where one wrestler runs head-on at another and smashes into him. Sound violent and intense? You’re right, it is. Running at an opponent full at full speed and delivering a blow to the midsection can easily lead to bruised organs and broken ribs. Follow up a Spear with a series of punches, and you’ll be inflicting a lot of damage. One note of advice: The Spear is a wrestling move best used when the opponent is not expecting it. This move has certainly provided a lot of pain to opponents in the ring and given goosebumps to fans. Have you ever rolled your ankle while jogging? Then you already know how wildly painful an injury to that joint can be. Now imagine having a giant in a wrestling onesie wrenching on that tender part of your body with the intention of removing it by force. Hopefully, that unpleasant image offers you a glimpse into how the Ankle Lock must feel. You’d certainly need plenty of ice to help with swelling, as well as time off your feet to watch Netflix. The Ankle Lock has been a popular move with both WWE wrestlers and Brazilian Jiu-Jitsu fighters for years. On the positive side, it could also be used to diffuse a risky situation and prevent major injury. Just close your eyes and hold on tight. They say that variety is the spice of life. Nowhere is this truer than with the wide variety of names and techniques of wrestling kicks. In fact, if I took the time to list them all, you might end up high-tailing it to the locker room for a shower. So here’s an abbreviated list of some popular kicks just to wet your appetite. 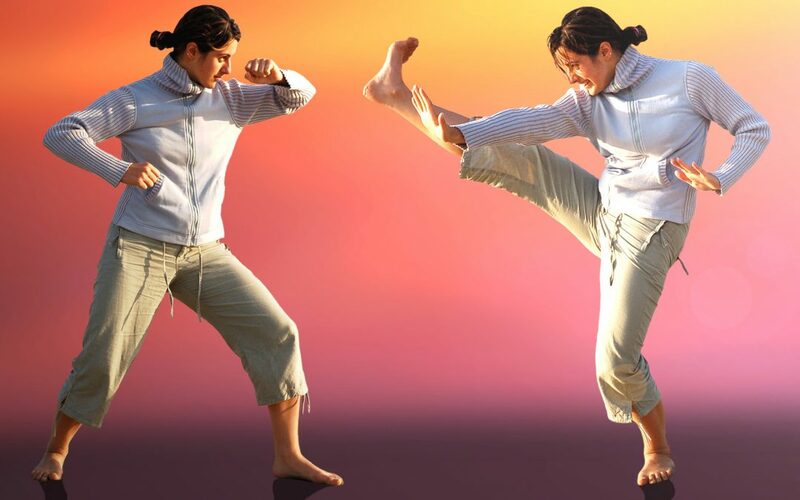 These are just a few of the common moves involving kicks that we see which could do plenty of damage to an opponent. Some of these moves, such as Beautiful Disaster, could cause serious injury if the timing is off. And let’s not forget to mention the knee. This is one of the most lethal parts of the body because it’s extremely strong and could be used to hit an opponent with tremendous force. The pros love using their knees as weapons. There are plenty of wrestling moves using the knee to pick from, including the Knee Lift, the High Knee, and the Spinning Knee. Wrestling moves involving kicks and knees are especially popular with smaller wrestlers or wrestler with a martial arts background. These moves would actually be ideal for use in real life situations such street fighting. Let’s compile a list of a few things in the world more painful than a Piledriver. With names like The Texas Piledriver, The Tombstone Piledriver, and The Widowmaker, you’d be advised to avoid being on the receiving end of this punishing wrestling move. These wrestling moves are executed when the wrestler grabs his opponent, turns him upside-down, and drops him into a sitting or kneeling position, driving the opponent’s head into the mat. Like I said, it might be a more pleasant experience being dragged behind the old Winnebago on the next family vacation rather than getting pounded by The Piledriver. Pro wrestling is well-known around the world as an over-the-top, action-filled spectacle, replete with chair throwing, insult-hurling, bouncing opponents off the ropes, blood and spit, and clearly not enough clothing. And it’s more popular than ever, with fans of all ages in every country. But this is also real combat, with wrestling moves that can be utilized inside or outside the ring. Pro wrestling is certainly an exciting sport that makes for great entertainment, but never underestimate the power and deadly force of these moves can generate. Keep in my that the guys on television are world-class athletics and trained to take a blow. To learn more about Nature Boy Ric Flair and the exciting world of WWE, be sure to click here and get ready to rumble.